Are you constantly losing your phone? Are you always searching for your keys? The TrackR Bravo is the perfect solution to both of these problems. This device is the shape of a coin and can easily attach to a key ring. It has a reverse-tracking feature, so not only can it find your keys, but it can find your phone, even when it’s on silent. 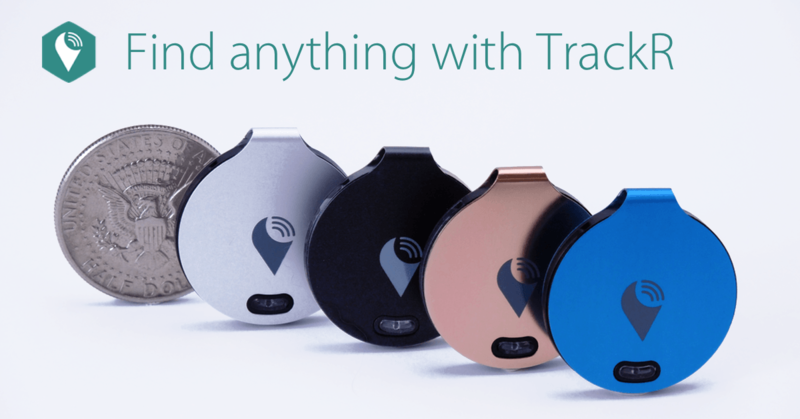 The TrackR has a distance indicator, an item ringer, a separation alert, and more. It is compatible with iPhones and Androids and works world wide. Come out to Hershey for the weekend to celebrate automobiles and more. This event includes a car show filled with unusual cars and other surprises. Visit to marvel at the cars of the past. There’s everything from race cars to street cars. This includes collector cars from pre-World War II and post-World War II. Help to raise money for charities like JDRF and the AACA Museum. There will also be a 5K challenging runners to the Grand Ascent hill climb course. On Saturday night, there will be a gala themed night party. On Sunday, car owners and those who appreciate the automotive history with gather for the day to admire famous cars. Join others in supporting charities and more. Interested in speed camera detectors? This gadget does it all. It helps you to drive safely and free of tickets. The Cheetah GPSmirror warns you when approaching safety camera locations and high risk accident zones. It’s also easy to install, just clip the device over your car’s rear view mirror. The GPSmirror allows you to watch out for red light runners or drivers who slam on their brakes unexpectedly. In addition, safety alerts will be sent out to focus your attention back on the road when you need it the most. Camera alerts are directional, this means that the GPSmirror will not send out false alarms for cameras that are on the other side of the freeway. Also, camera alerts will be spoken to you with voice alerts so that you will know what type of hazard you are approaching. Another cool feature is Autoranging. Warning distances will adjust automatically depending on your car’s speed. This device is completely hassle free. It is also almost unnoticeable from outside your car. There are endless cool features for this device. Check more out here: http://www.speedcheetah.com/scshop/page.php?xPage=GPSmirror.html. The annual Firefighting Day and Antique Equipment Muster is here again. 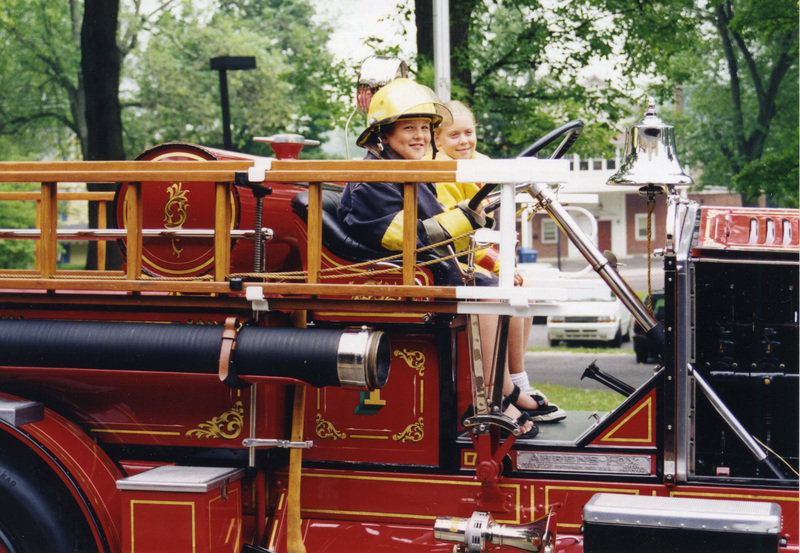 Fire companies from around Bucks County and the nearby Delaware Valley showcase their pre-1960 hand-drawn, horse-drawn and motorized fire engines at this free outdoor event at the Mercer Museum (regular admission applies to the museum itself). Participating fire companies will display thirty to forty pieces of apparatus ranging from the early 1800s to the 1950s. Some of the apparatus on display are: A 1812 hand-drawn pumper(Newton Fire Assoc), 1847 hose carriage (Croydon Fire Co.), 1901 Rumsey Ladder (Quakertown 17), a 1925 Ford Model T American LaFrance Chemical Truck (Warrington), a 1929 Model A Ford Chief’s Car (Yardley) and a 1934 Chevrolet Tanker (Trevose). Activities for the day include scavenger hunts for families, engine pumping demonstrations, “putting out a fire” in a model house assisted by firemen, fire prevention information, storytelling and information on how to become a volunteer firefighter in Bucks County. Visitors can also purchase food on site from Big Poppa’s Barbecue food truck and Sweet Pea Ice Cream. It’s a free show and hours are 10 a.m. to 4 p.m. The 29th Annual weekend Classic Car Show kicks off tomorrow am in Manchester, VT, one of Vermont’s 10 most beautiful towns. This year’s show features a cocktail reception, car corral, parade and poker run. 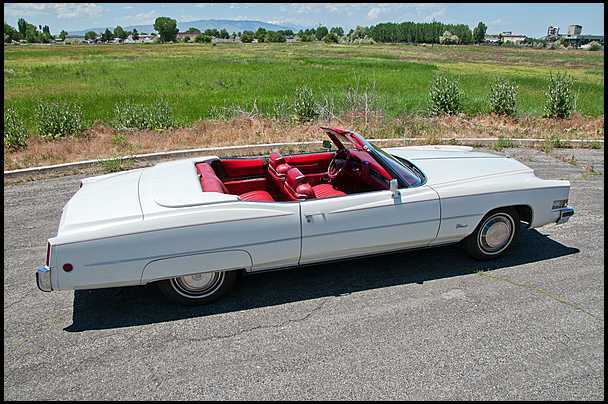 First up is a 1973 Cadillac El Dorado Convertible. This is a land yacht with some serious presence. This baby isn’t fast and it gets terrible gas mileage, but it’s super cool and as comfortable as your lazy boy recliner. I think this is around the same vintage as the Boss Hoss mobile from the Dukes of Hazzard also (minus the horns). Next up is the Mercedes-Benz E Class Cabriolet. This is definitely one of the nicest 4 seat convertibles on the market and you can’t go wrong with any vintage E Class. Every body style is stunning and turns heads everywhere. The fit and finish is terrific and the newer ones are loaded with gadgets. 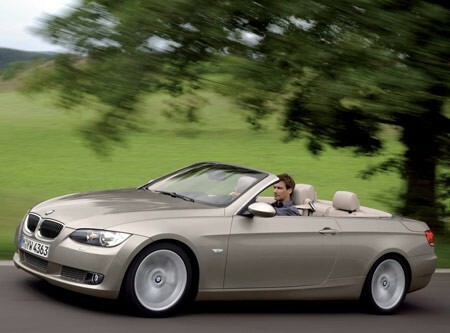 Next up is the BMW 3 Series Cabriolet. 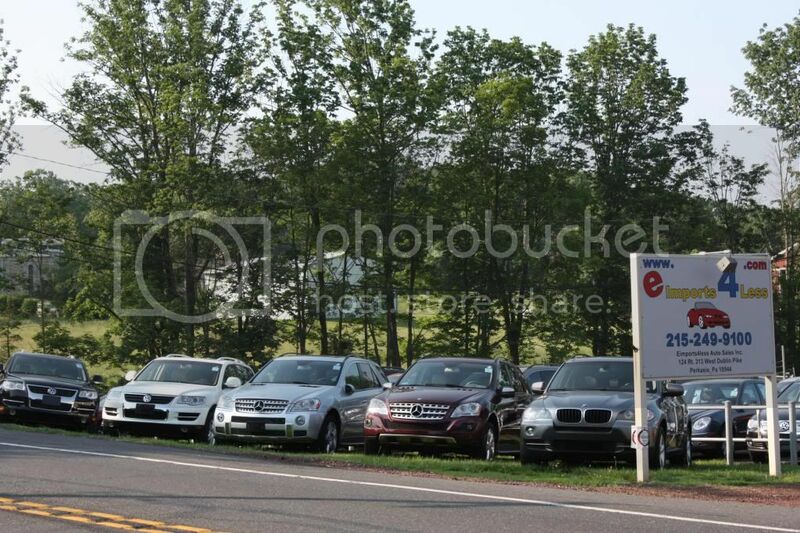 Like the Mercedes E Class above, you can purchase any year of this vehicle and be very happy with the product. I’m pretty sure the BMW 3 Series has been on Car and Driver’s Top 10 List for about 25 years in a row…so any year will do. Again, the newer ones can be stuffed with options and gadgets so they’re a little more user friendly. 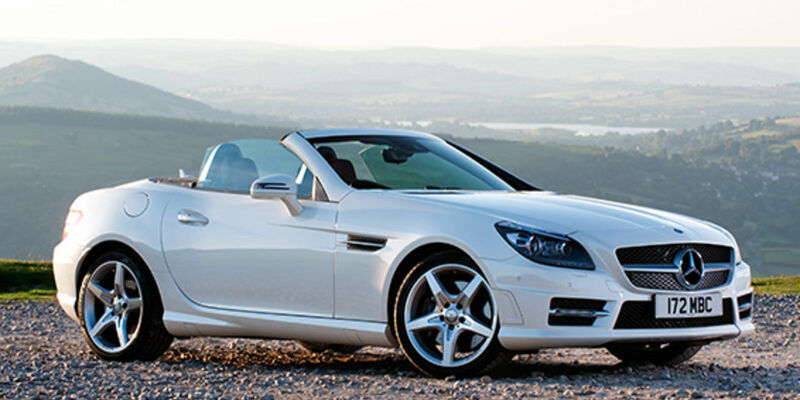 Next up is the Mercedes-Benz SLK Roadster. This is a neat little 2 seater that’s probably one of the best looking roadsters on the market today. The 2012 and newer body style is available with a few different engines and a huge list of options, anything from panorama moonroofs to navigation to keyless go. Again, the fit and finish are exactly what you’d expect from Mercedes-Benz and the road manners are impeccable. 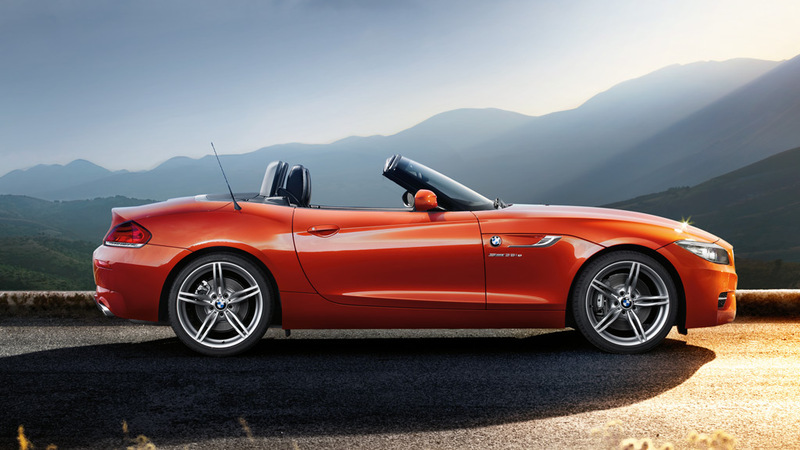 Next up is the BMW Z4. This is in direct competition with the Mercedes-Benz 2 Seat SLK. In comparison to the Mercedes, this BMW has a little less luxury styling and a more sporty appearance and also drives a bit stiffer and sportier. 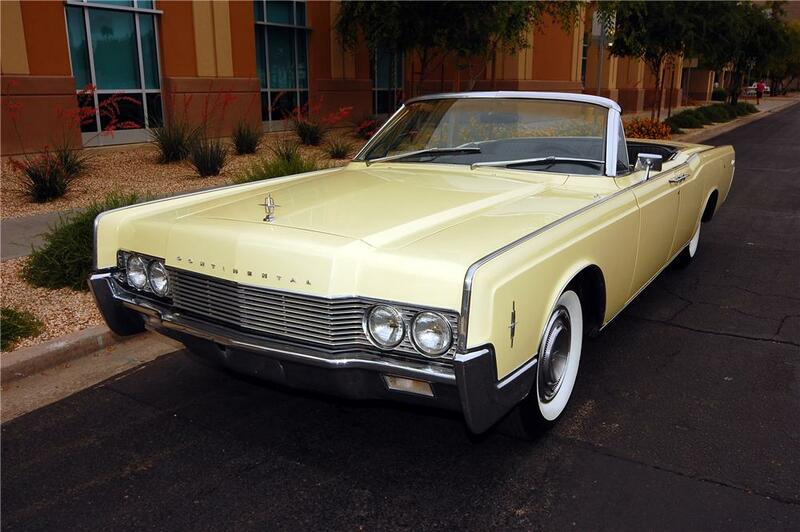 Next up is another classic, this 1966 Lincoln Continental Convertible. This is the ultimate 4 seat classic convertible and one of only a few convertibles that actually has four doors. These babies were loaded, for 1966 of course, with power windows, full power top, a/c and more. Our last pick for top down fun is the 1973 Jaguar XKE Convertible. This is arguably the prettiest vehicle ever built and will get you a front row parking spot at any respectable restaurant. The valets will not have the guts to ask you for the keys either ! Cheers to taking some tops off this weekend !